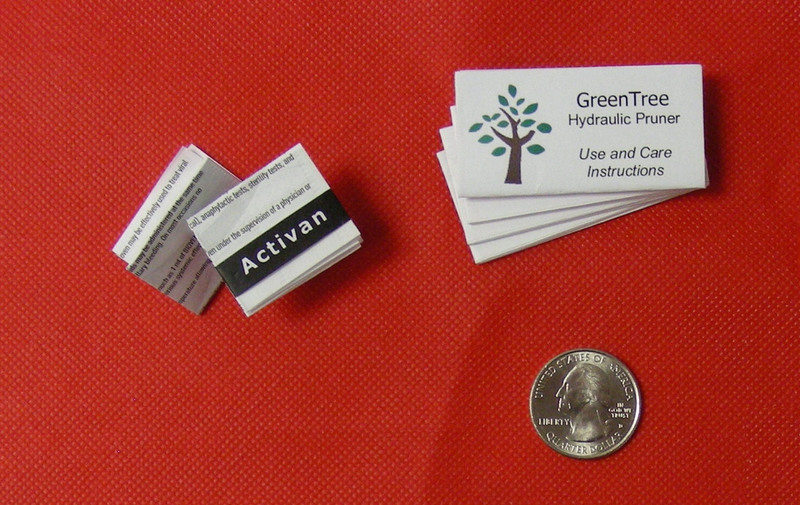 Many commercial print shops do not have the equipment necessary to produce mini-fold projects, nor can they justify buying mini-folding equipment based on the occasional need. If you are a print shop and this describes your situation, you no longer have to decline mini-fold orders…let us do the printing and folding for you! Outsourcing is a very easy process – whether you need instruction sheets, diagrams, product warranties, brochures, or any other important information that needs to fit into a compact package, just get in touch with us to discuss your project. In most cases, you simply forward the specs and artwork to us and we’ll print and mini-fold the project at a wholesale rate. Then, depending upon your preference, we’ll either ship the order to you for distribution, or blind-ship the order directly to your customer. Either way, your relationship with your customer is protected at all times. Print shops that outsource mini-folding projects have an edge over other printers that say “no” to these projects or merely refer the customer to someone else. If you are unable to accept mini-folding orders because you lack the equipment or expertise, you really should explore the many benefits of outsourcing. It’s really quite simple to do, and outsourcing helps you capture more profit for your business. Have questions about the advantages of outsourcing? Just give Formax a call at (314) 434-5500 or (866) 367-6221...or use the quick Contact Form at the bottom of this page. We look forward to assisting with your mini-folding needs!